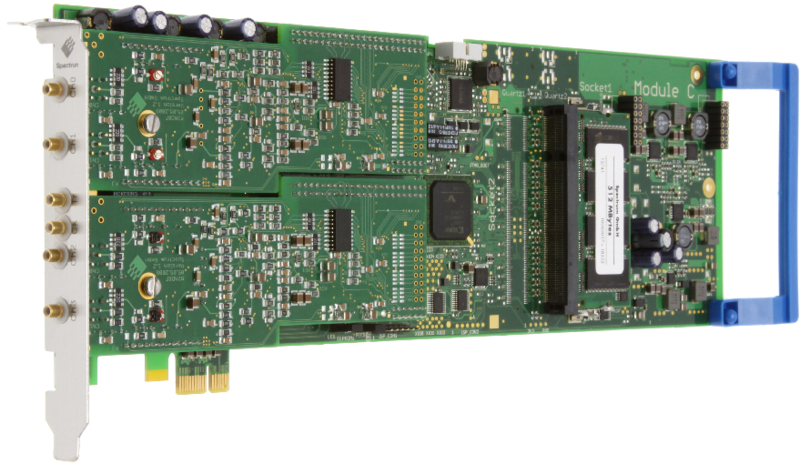 The cards of the M2i.20xx Express series are designed for the fast and high quality data acquisition. 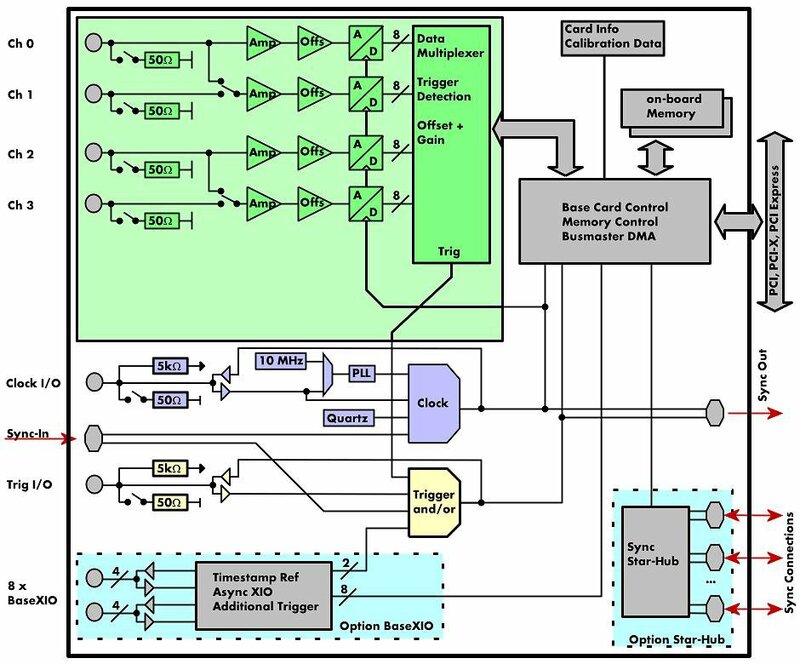 Each of the up to four input channels has its own A/D converter and its own programmable input amplifier. This allows the recording of signals on all channels with 8 bit resolution without any phase delay between them. The inputs can be selected to one of seven input ranges by software and can be programmed to compensate for an input offset of +/-400% of the input range. All four cards of the M2i.20xx series may use the whole installed on-board memory completely for the currently activated number of channels. A FIFO mode is also integrated on the board.